An Architectural Comparison of NoSQL Databases [PDF] — A white paper that compares and contrasts GridDB, Cassandra, MongoDB, Riak, and Couchbase. Apache RocketMQ: A Distributed Messaging and Streaming Data Platform — Targeting Java, .NET and C++ users and aims to work around scaling issues in Kafka and ActiveMQ. There’s a comparison table available. 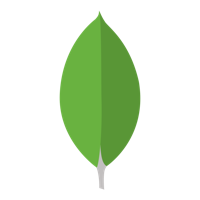 Get started with MongoDB — We've put together a hub of our most popular resources to help jump-start your understanding of MongoDB. Check it out. Introducing Dexter: An Automatic Indexer for Postgres — By monitoring queries this tool will generate queries to improve their performance. Exactly-Once Semantics Is Possible: Here's How Apache Kafka Does It — Kafka 0.11 has implemented ‘exactly-once semantics’, a significant feature. But how? Making The Internet Archive’s Full Text Search Faster — How the Internet Archive made their full-text organic search faster — without scaling horizontally — allowing users to search across 35 million documents in seconds. Using Emoji in SQL — This doesn’t sound like a great idea but it does work, at least with SQLite and PostgreSQL 9.6. Whitepaper: 5 Steps to Agile Database Management — Database Management is years behind software development. Here's how to bring your DBs up to speed. Building SQL Queries for Funnel Analysis — How Statsbot constructs SQL queries for conversion funnel analysis. Postgres 10 Beta vs Postgres 9.6 Analytics Performance — How does the latest version of Postgres, still in beta, fare performance-wise?